Back to school means back to competitive high school sports. The excitement of youth sports draws us all together. Many childhood lessons, even lifelong lessons, are taught on the field. Many positive outcomes emerge from participation in team sports. To keep children participating, it is imperative that we help keep them healthy. According to the CDC, more than 2.6 million children 0-19 years old are treated in the emergency department each year for sports and recreation-related injuries. These injuries and incidents can be career ending which is devasting when the intent in allowing our children to excel is to see them play. As we return to school several factors will play a part in injuries and medical emergencies for these children. Understanding that some of these incidents are predictable makes them also PREVENTABLE! It is always easier to stay in shape than to get in shape. Maintaining an active lifestyle helps prevent the grueling experience of jumping back in to fitness and exercise. If summer days meant lazy days for your children, take note. Let’s work to avoid setbacks or even worse, medically disqualifying injuries. Here are three common problems causing back to school mishap. It has been reported that in athletes ages 5-17, 53% of all sports medicine facility visits are due to overuse. A child’s development pattern cannot withstand the repeated activities that early sports specialization promotes. Injury prevention takes place when there has been a cross training period, empowerment of proper body mechanics and changes in activity. Anyone can suffer from overuse. Children are especially susceptible. Their bodies have not developed fully therefore; their workouts should look different. Lack of recovery time as well as increased intensity can not only cause soft tissue breakdown but can also be life threatening in the form of cardiac arrest. Make sure that children are taking frequent breaks as well as getting plenty of rest in the evenings. Graded activity exposure is a term used to assist in a progressive change in intensity. Allowing the body time to get stronger rather than just break down. 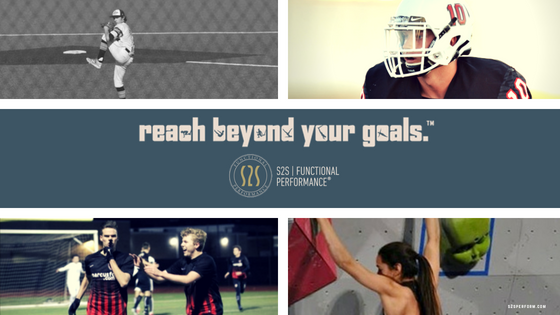 S2S Functional Performance is staffed with board certified physical therapists, holding the highest degrees in manual orthopaedic physical therapy. Together with our licensed rehabilitation counselor and performance enhancement specialists, we work to equip your child with the knowledge he/she needs to make the best choices for his/her body. If it hurts stop! Your body deserves to be at its best.